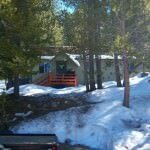 Price Changed to $160,000 in South Lake Tahoe! 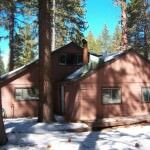 2640 Knox Ave South Lake Tahoe CA offered at $160,000Interior and exterior logs create the perfect Tahoe cabin. This sweet home has an open floor plan with 2 bedrooms and full size bath. It is well maintained.Continue Reading! 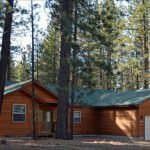 1084 Johnson Blvd South Lake Tahoe CA offered at $365,000RARE-New construction, single story on a 14,070 square foot lot and has many upgraded features. Quartz counters, cork flooring, walnut cabinets, cover patio, separate laundry room, oversized garage and good looking laminate flooring throughout. Master bath has corner spa tub and separate shower. Furnishings are negotiable. This is a good one! Hurry it will not last! Open House 3/30/2013Continue Reading! 2187 Pinewood Dr Meyers CA offered at $158,000Cute cabin in Christmas ValleyContinue Reading! 158 Aynes Court #B Stateline CA offered at $249,000Wonderful townhouse with attached studio. A great value with many possibilities! Location is fantastic, within walking distance to a beautiful meadow with a path to the lake. Very close to casino and Hwy 50. Townhouse has 3 bedrooms and 2 baths and single car garage. This townhouse is well maintained and has a cozy ski lodge like feel. The floorplan is an open kitchen, dining and living room...Continue Reading! 158 Aynes Ct #B Stateline NV offered at $249,000Wonderful townhouse with attached studio and NO HOA fees!!! A great vlaue with many possibilities! Location is fantastic, within walking distance to a beautiful meadow that has a path to the lake. It is very close to casinos & Heavenly. The townhouse has 3 bedrooms & 2 baths. The floor plan has an open feel. Two bedrooms & jack & jill bath are on the main floor. ...Continue Reading! 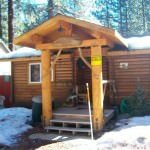 2640 Knox Ave South Lake Tahoe CA offered at $170,000Charming log cabin exudes pride of ownership! Interior and exterior logs create the perfect Tahoe cabin. This sweet home has an open floor plan with 2 bedrooms and full size bath. It is extremely well maintained. This will not last, hurry come check it out.Continue Reading! 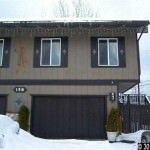 New 2 Bedroom Listing in Meyers!